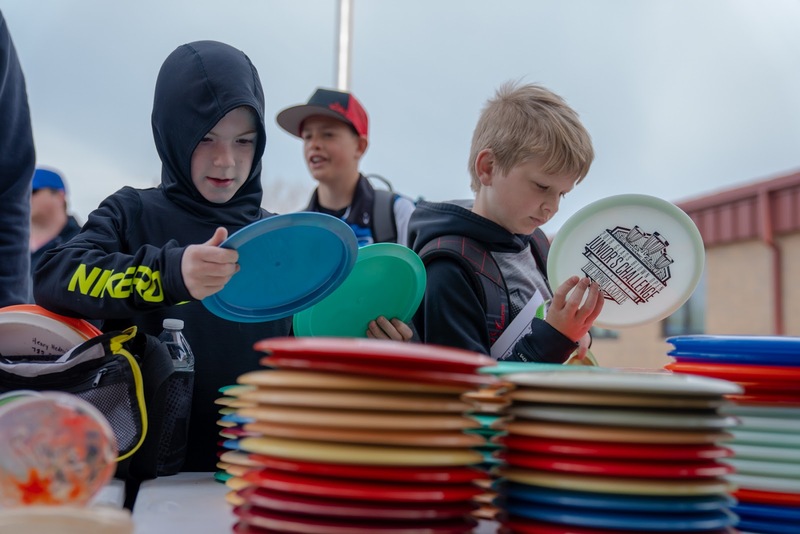 It’s a busy year for disc golf lovers in Emporia, as we’ve just barely wrapped up the 2018 Glass Blown Open and are instantly met with our next big event - the 2018 PDGA Junior Worlds. Taking place July 11th through the 14th, young players from across the globe will compete on a handful of different courses to see who is the best in their division. Not much different than other major PDGA events, Junior Worlds boasts fun events leading up to and during the tournament including a large flymart and local Emporia attractions that are great for the whole family. Let’s get a snapshot of what it takes to participate in this prestigious event! Junior players aren’t cut any slack just because they're younger, as the PDGA sets out specific requirements that define who is eligible to participate in the Worlds competition. Individuals must maintain an amateur status by accepting merchandise instead of cash at any event they compete in, and must also be 18 or under. Anyone turning 19 during 2018 is not eligible to compete in this junior event. If you want to play in Junior Worlds then there’s a good chance that you’ve been honing your skills all season long and have acquired enough points to qualify. Depending on the division you play in, you’ll have to earn anywhere from 2 to 200 points in order to receive an invite. After those who have been invited have registered to play, the PDGA will open up registration to any junior player who meets the above criteria. 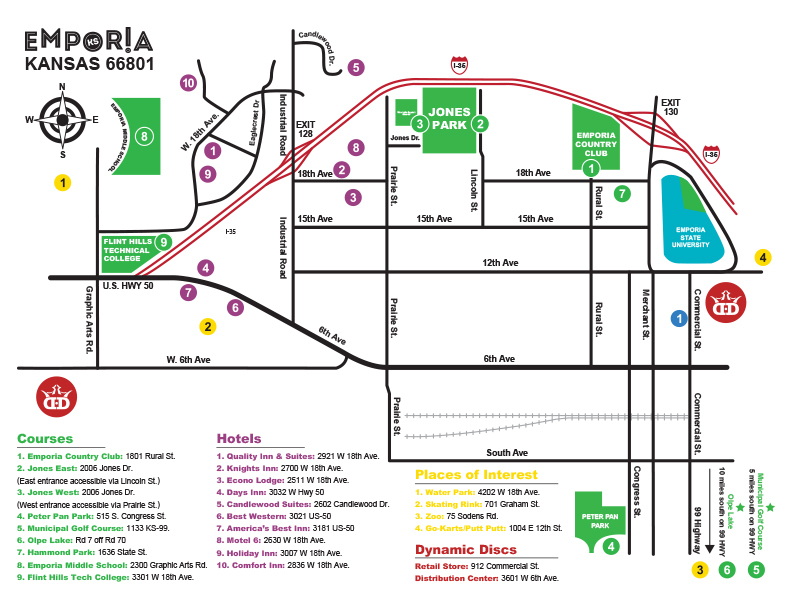 Emporia is a great place to host large disc golf tournaments as the sheer number and quality of courses in the area offer players a variety of challenges. Depending on the division, participants will find themselves competing at Jones East and Jones West, as well as Emporia Country Club, Peter Pan Park, Hammond Park, and Flint Hills Technical College. If you think that champions aren’t made at the PDGA Junior Worlds, think again, as the event has traveled throughout the country over the last handful of years and has produced some amazing winners. Nate Sexton, Ricky Wysocki, Nate Doss, Paige Bjerkaas, and Valarie Jenkins have all taken home their titles as former World Champions to go on and do some pretty amazing things in their disc golf careers. There’s still time to make your plans to visit Emporia this year with your young players, but be sure to make arrangements soon before accommodations are sold out. For a handy map showing you the lay of the land, click here. Stay tuned for our announcements letting you know when registration opens up for various players, and encourage your kids to play in one of the most anticipated events of the season!